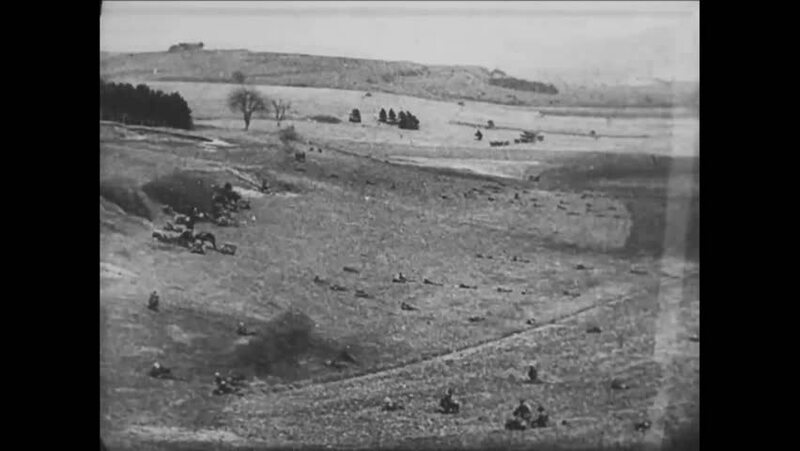 CIRCA 1919 - 51st Infantrymen of the US Army participate in a "sham battle" near Colmiers-le-Haut. hd00:40CIRCA 1944 - American soldiers patrol the surrounding area of San Pietro, observing the enemy and taking prisoners. hd00:39CIRCA 1940s - Landscapes of the Northern Canada lakes and rivers are shown from an airplane in 1944.
hd00:38CIRCA 1916 - Mexican soldiers fire guns, and a soldier takes the gun of a dead man during the Pancho Villa Expedition. 4k00:18WYOMING 1951: view of a large body of water. hd00:54CIRCA 1950s - Mojave aircraft arrive on the battlefield and survellience aircraft are shown. hd00:30CIRCA 1920s - Cripple Creek, Colorado is a gold extraction mine in 1922.
hd00:17UNITED STATES 1970s – A previously barren land is transformed into a greenery adjacent to a highway system.